The legal standard for finding an individual in contempt was set forth in re Birchall (2009): “we require that a civil contempt finding be supported by clear and convincing evidence of disobedience of a clear and unequivocal command.” Therefore, there must be an existent clear order or judgment of the court, which was intentionally and willfully disobeyed. In order to be successful in a complaint for contempt, the Court’s Order or Judgment must be clear and unequivocal. A Next there must be a willful and intentional disobedience of the Court’s Order or Judgment. A family law contempt allegation must be supported by evidence that is clear and convincing. The disobedience of a court’s command must be clear and convincing as well. Pendency of an Action – A complaint for contempt can be filed during the pendency of an action, i.e. while the underlying action is taking place. Issuance of a Judgment – A complaint for contempt can also be filed after the issuance of a judgment. It is not uncommon for one party to disobey a judgment. Should this happen, the party that was injured may try to enforce the judgment and obtain relief using the court by filing a complaint for contempt. Once the court receives a complaint for contempt, it will issue a contempt summons. A contempt summons must be served on the other party. The court will then schedule a hearing date on the contempt issue. The parties must appear before the judge who will hear th the positions of each of the parties involved with the complaint of contempt. All parties and their counsel, if represented, must attend the hearing. A judge will listen to each party’s position and make a determination as to whether or not a party is in contempt. This is a formal examination. The party bringing the contempt action must show there is a clear and unequivocal court order or judgment and a subsequent willful and intentional disobedience of that order or judgment. All those involved could be placed under oath and asked to testify i by the judge. 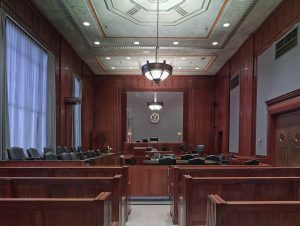 Success often depends on being able to provide a court with sufficient evidence the violation occurred. For exceptional assistance with any aspect of your divorce or family law matter, contact the knowledgeable and experienced attorneys at Karpenski & Schmelkin, Divorce and Family Law Attorneys for more information.